USCA (April 17, 2014) – The United States Cattlemen's Association (USCA) issued the following statement in regards to the announcement made by the United States Department of Agriculture (USDA) and Secretary of Agriculture Tom Vilsack declaring the sign-up period open for livestock disaster assistance. USCA President Jon Wooster, San Lucas, California, commented on the announcement, "This week marks the start of sign-ups for those producers seeking aid to combat the lasting effects of recent weather-related disasters. We applaud the USDA in the timely rollout of this program and urge all of those seeking aid to file the appropriate documents as quickly as possible." "Programs of note and available to livestock producers within the sign-up period include the Livestock Forage Disaster Program (LFP), the Livestock Indemnity Program (LIP) and the Emergency Assistance for Livestock, Honeybees and Farm-Raised Fish Program (ELAP). As relayed to USCA and other stakeholders, producers should visit their local FSA office for more information regarding enrollment. The success of the 2014 Farm Bill is showcased in this announcement and we look forward to working with the department and our members to ensure all who are in need gain access to these necessary programs." USCA Director Danni Beer, Keldron, S.D., stated, "The 2014 Farm Bill provides for retroactive and ongoing payments made under the livestock disaster provision. In addition, the ten-year baseline provision prevents the uncertainty once associated with the ad-hoc nature of the program. 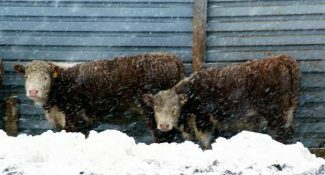 As a rancher located in the region impacted by the historic blizzard known as Winter Storm Atlas, I know these programs offer much-needed help to ranching operations devastated by weather-related disasters. We appreciate Secretary Vilsack's work to make these programs available so quickly. Western South Dakota ranchers began signing up for relief this week." USCA urges producers seeking assistance to visit: http://www.fsa.usda.gov for more information and details regarding program specifics and sign-up requirements.